Journey to the heart of Africa where you control the wild kingdom! Interact with exotic animals in the wild including lions, elephants, gorillas and more as you explore the jungles and savannas of Africa. Discover the animals' secret abilities. Solve challenges to earn new items, animals, and levels. Collect unique items to receive badges. 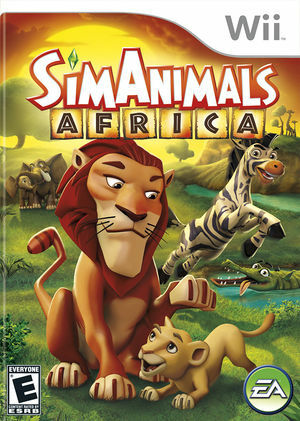 Get in touch with your wild side and discover the ultimate secret of the kingdom with SimAnimals Africa! Discover the ultimate secret of the wild kingdom. The graph below charts the compatibility with SimAnimals Africa since Dolphin's 2.0 release, listing revisions only where a compatibility change occurred. This page was last edited on 13 January 2018, at 13:32.